Working in Digital Media production since graduating University in 2002 with a Bachelor of Screen Production majoring in Digital Media, Shane has been developing eLearning solutions and content for over 10 years. His skills include Photography, Video, Web Design, Programming, Graphic Design, Animation and Rapid Development. 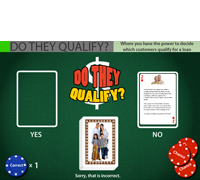 Quiz graphics, programming and gamification. Can be developed in Flash with optional XML content management, or HTML5 using the rapid development authoring tool of your choice. I made this for Transport and Main Roads as part of the customer service and process training to accompany the launch of the New Queensland Driver's Licence. 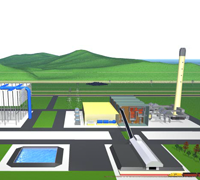 This is an XML and Flash driven branching scenario engine allowing users to navigate their way through some example customer service scenarios. I also took the photographs used in this activity. This slightly older video-based project is still one of my favourite undertakings to date. 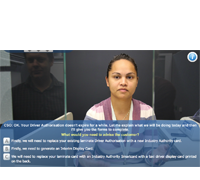 This was 100% freelance work developed for QRC (Queensland Resources Council). 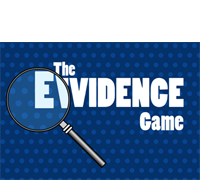 It remains one of their most popular resources in the secondary school audience ever since. I wrote the script, did the 3D modelling and animation, and put it together. There were ZERO change requests from the client! 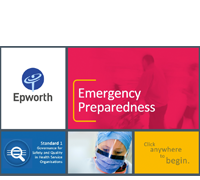 A recent Articulate Storyline project developed on-site for Epworth Healthcare. The good folk at Epworth wanted a new eLearning template that was optimised for tablet and iOS friendly. I worked closely with their team to achieve the desired technical and creative result with a speedy turnaround. Optimised for tablet and iOS. When I worked for Heritage Bank as a designer and developer, one of the constant challenges was to make financial training more engaging for the audience. This Adobe Captivate project incorporates Flash games that I developed and programmed from scratch to meet this need.